Hajee Mohammad Danesh Science & Technology University, Dinajpur. S. M. Shahidul Islam (2016). A new method to measure the job satisfaction level of an employee. Engineering International 4(1): 19-24. 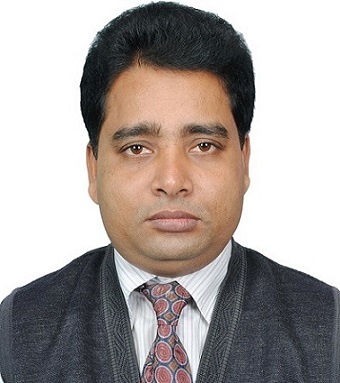 S. M. Shahidul Islam (2014). Single-vendor single-buyer optimal consignment policy for a seasonal product. HSTU Journal of Science and Technology 12: 59-66. A.A.K. Majumdar, S. M. Shahidul Islam (2004). Partial Fractions in Laplace Transforms. Journal of Mathematics and Mathematical Science, Jahangirnagar University 19: 87-97. S. M. Shahidul Islam, A.K.M. Fazlur Rahman, A.A.K. Majumdar (2004). An Algorithm for Generalized Assignment Problem with Employer and Employees Satisfactions. Journal of Mathematics and Mathematical Science, Jahangirnagar University 19: 43-52. S. M. Shahidul Islam, "A text book entitled Linear Programming” for the students of under graduate and graduate level. Kbir Publications, 2008, ISBN 984-8402-17-9. S. M. Shahidul Islam, "A text book entitled Business Mathematics” for the students of under graduate and graduate level. Abir Publications, 2004, ISBN 984-36-0255-3.